food extrovert – Your brain brought you here, now feed it. Are you sick and tired from the same old food choices? Literally? It's time to treat your brain and body as if they are your own. Treat your friends, family or employees to a delicious "theme" meal with the food extrovert! We offer a multitude of exciting food choices to make your occasion the one to remember. 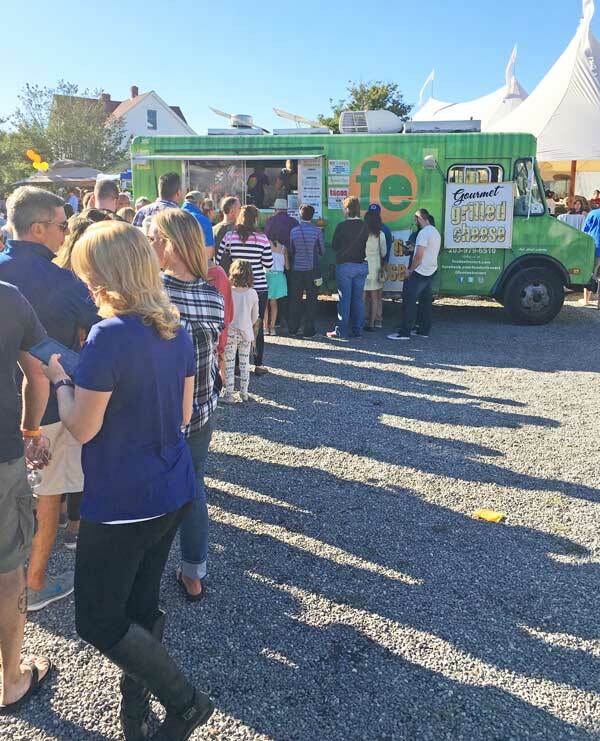 Tacos and Burritos, Gourmet Macaroni and Cheese, Fancy Sliders, Exotic Salads, Asian Themes, New England Seafood Parties and Much More. 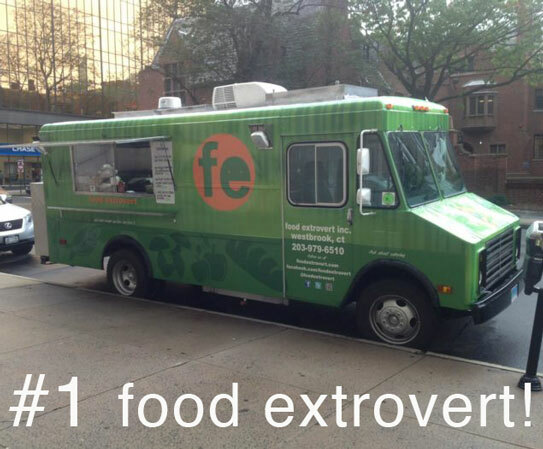 Click below to give us your catering details. Release yourself from the gridlock of processed foods and narrow options. The food extrovert's kinetic kitchen is here to rescue you from the daily mundane. Get energized by the intelligent delicacies from our ever-changing eclectic menu. eat well...feel good What we have here is a mobile kitchen preparing fresh, local ingredients that will satisfy one's cravings for something different, delicious and reasonably priced. 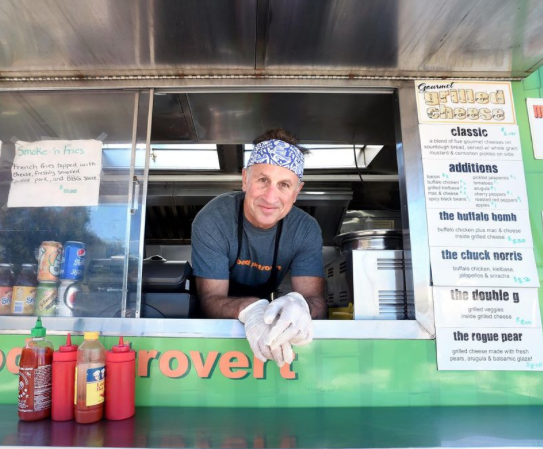 Westbrook resident Don Henick’s food truck, called “food extrovert,” specializes in comfort food such as five-cheese grilled sandwiches on sourdough bread and Buffalo chicken mac-and-cheese, as well as what he calls “the healthier choices,” like his mouth-watering vegetarian beet slider. Click the button on the right to give us your event details and we will be in touch to book your catering.